This year’s Festival has prepared plenty of events for children. Our program is full of family picnics, walks and workshops that aim at familiarizing children with Polish-Jewish culture, history and tradition. Families are welcomed to join our artistic workshops “Noah’s Ark.” The host, Hanna Kossowska, will talk about the Biblical flood and the orders of Hashem, that is God. Using various modeling clays, children will make the animals that Noah was to take with him on board to fulfill God’s order. In the unique Yiddish Culture Center, launched upon Gołda Tencer’s initiative, the Festival will welcome visitors to an open day. There will be Hebrew and Yiddish lessons, Yiddish song workshops and specially for 3-8 years old children we’ll have workshops dedicated to the Isaac Singer’s stories “Mr. Singer’s Zoo” hosted by MaMa Foundation. “Jewish Fairy Tales” event offers joint reading and artistic workshops based on the selected tale, all hosted by the writer and journalist, Bella Szwarcman-Czarnota in Boobook bookstore. Jewish tales focus mostly on reaching goals and going over numerous obstacles on the way to achieving it. We’ll also have prepared for you a family picnic on the terrace of Menora InfoPunkt, during which we’ll offer workshops for our little handymen who will make memorabilia inspired by the Jewish tradition and culture. You are also welcomed to take part in games and plays. And last but not least, we cannot forget about the “Paper Chase at Night” prepared by Polin Museum for parents with children 4-10 years old. At the end of the holidays, the bravest of all will have the chance to see the permanent exhibition of POLIN Museum. With torches in our hands, we will rediscover the museum. Holidays are the best time for games and plays and it is our motto throughout the summer. 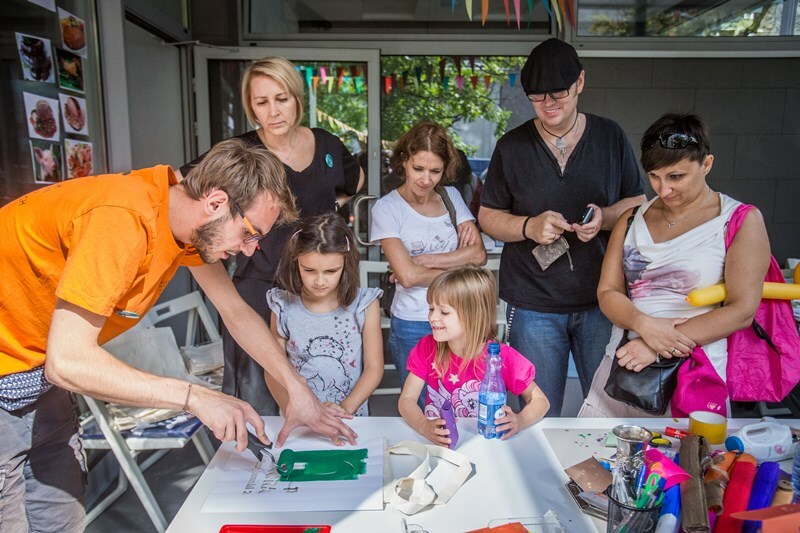 During the Festival, we’ll recommend our youngest visitors fun learning – they will familiarize with the history of Jews, their culture and history in a nice and attractive way. Our Festival is a great idea for families to spend the end of summer holidays! This is going to be the fourth edition of the Singer Jazz Festival (SJF), which is part of Singer’s Warsaw Festival. Jazz music proves to be very important music choice for Poles and the interest that this part of the program is raising among the audience is just confirming it. This year, we will focus on presenting a wide range of Jewish music – jazz and jazz-related works performed by Polish and international artists. One of festival’s objectives is to present both Ashkenazi and Sephardic music, the old and the modern compositions, including the avant-garde ones. Our audience will have the pleasure of discovering the roots of the Jewish sounds. What will happen during the 4th Singer Jazz Festival? The jazz part of the Singer’s Warsaw Festival will be opened by the Polish-German trio, Oleś Brothers & Christopher Dell – “KOMEDA AHEAD” in the Nożyk Synagogue. The brothers, Marcin & Bartłomiej Oleś, have been composing and performing for more than ten years; this time, together with one of the most creative improvisers of the German music scene, Christopher Dell, they will get to interpret Krzysztof Komeda’s music. Performing compositions written by the legend of the Polish jazz music, they will bestow it with new, original and a very emotional caliber. Compared to other jazz festivals, the SJF’s objective to invite a special guest, the so called Resident Guest, is a unique idea. The Resident Guest is always a jazz veteran, award winning and recognized artist, who meets young, Polish jazz scene. This year, we have invited Rolf Kühn, a world famous clarinet and saxophone player, who performed his first concert back in the 1940s. Having released almost 30 records and composed music scores for tens of movies and TV shows, he is still active and working, while his stage career has been lasting for nearly 70 years. On Singer Jazz Festival’s stage he will engage in three projects. In the recently revived Jazz Club AKWARIUM, he will perform together with Polish trio Jachna/Mazurkiewicz/Buhl. The ensemble, featuring well-recognized on Polish improvisation scene musicians – trumpet, double bass and percussion players, has released a very positively received album back in 2016, “Hidden Sounds,” which includes improvised compositions full of spirit and symbols. Still in the same inspirational space, our Resident Guest will perform accompanied by musicians from the international project: Minim Experiment. The band consists of the leader and guitar player, Kuba Wójcik, Italian double bass player, Luca Curcio and the percussion artist, Albert Karch. The project focuses on performing original works composed by the leader, with jazz, improvised and avant-garde music as their central point of interest. The last year’s record released by the trio was awarded the title of the Debut of the Year by Polish-Jazz.blogspot.com. Moving on, the project, “Clarinet Summit,” the latest initiative of the Singer Jazz Festival’s artistic director, Adam Baruch, developed specially for the festival, will feature Polish musicians performing together with Kühn. It will include IRCHA CLARINET QUARTET, formed by an outstanding saxophone and clarinet player from Gdańsk, Mikołaj Trzaska, with musicians playing various kinds of clarinets. The German accent of the concert will be the performance of Christian Dawid, the world class German clarinet player representing Eastern European trend in Yiddish music. Meanwhile, Oleś Brothers will take care of the rhythm section. The project “ASEMAN – WHERE MUSIC CROSSES BORDERS” is a result of artistic cooperation of ASEMAN BAND – the Israeli artist living in New York, Hadar Noiberg and Iranian artists living in Vienna. The fantastic jazz and world music they perform illustrates the depth of the culture and music heritage of Iran and Israel, which is a proof that creative bonds and friendship are beyond any political divides. Another performance will be given by the representative of the youngest generation of Polish jazz music, Zbigniew Chojnacki, who will present works from his solo album “Electrotropizm.” An improviser and accordion player, his free perception of music is in harmony with being inspired by everyday smallest elements of space. Despite his young age, he has already performed with several outstanding jazz artists, such as Michał Urbaniak and Zbigniew Namysłowski. Our audience will also be taken on “A JOURNEY AROUND THE BRAIN” by 8 artists of the NAXOS Orchestra. This ensemble of wonderful artists combines Greek, Jewish and Arabic music with jazz, funky and classical music under the leadership of Milo Kurtis. The album of the same title, a result of cooperation between Kurtis and Konstanty Joriadis, released in 2014, was recognized by Polityka weekly as one of the Events of the Year. As usual, part of the festival, we will feature a concert of the Night of Klezmers. This year, on Grzybowski Square, the audience will have a chance to see one of the Israel’s leading music groups, Common Bond. A band of five instrumentalists and a vocalist with various music backgrounds represents new and original music style – specially written and arranged by the leader, Kobi Shefi. The band’s repertoire spotlights “ancient nature’s songs” inspired by the Balkan, Middle East and West Africa motives. The unique sounds are a combination of elements that originated from classical music, blues, rock and jazz music – and, having been based on a new style, they give the well-known sounds new, fresh and remarkable quality. We will also have an opportunity to listen to a unique music and cultural combination performed by Peruvian-Polish siblings – the group Marita Albán Juárez Quartet. Marita Albán Juárez is a jazz vocalist, music specialist and journalist. José Manuel is a diverse musician, representative of Latin-jazz, hip-hop and member of Salsa Central orchestra. The quartet will be accompanied by Dominik Wania, a multi-awarded jazz pianist and Andrzej Święs, a young generation bass player who has been nominated to Fryderyk award several times. 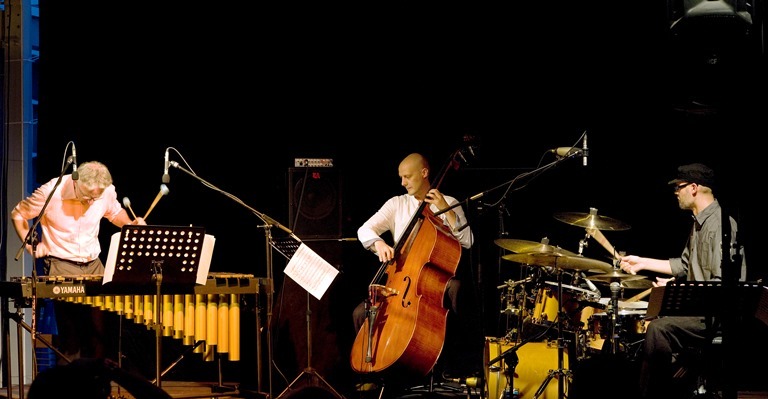 Polish-Israeli concert of Kądziela/Ettun/Zagórski is a project of long-time collaborators: percussion player, Adam Zagórski, saxophone player, Maciej Kądziela and Israeli double bass player and composer, Ehud Ettun. They often go well beyond contemporary music; their compositions are described as harmonic and at the same time wildly expressionistic. Today, they present experimental combination of Dutch hard-bop and Copenhagen avant-garde inspired by folk music. 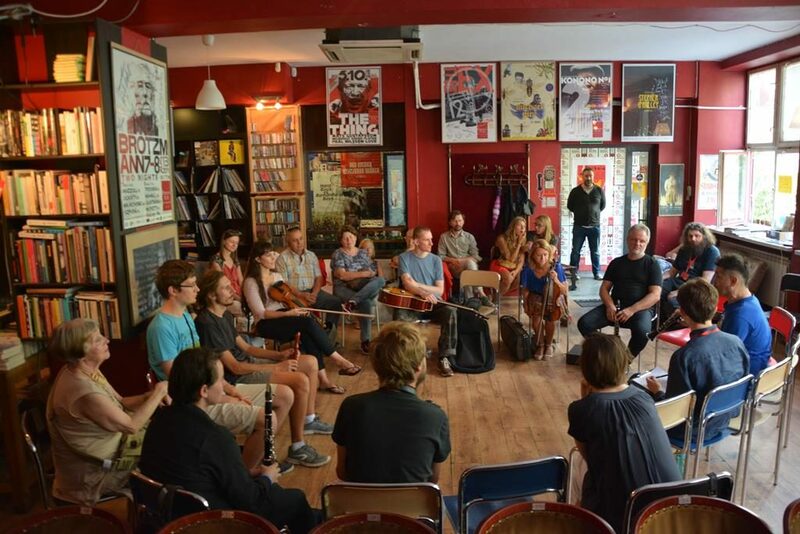 Music events during the festival are important, but the meetings with the festival’s guests, the jazz artists, are as important. The audience will have an exceptional chance to meet with the artists who rarely appear in media, including Rolf Kühn, an outstanding clarinet player who has been performing for nearly 70 years and Hadar Noiberg, an Israeli flutist, composer and arranger who lives in New York. The meetings will be hosted by the world famous music critic, publicist, promoter and expert in Polish jazz, artistic director of the Singer Jazz Festival, Adam Baruch. Continuation of the series Singer Jazz Festival is a platform for featuring traditional Jewish culture in a modern, energetic improvisation. Jazz music in Jewish arrangements is lively and resilient in its development; it experiments with wide diversity of sounds and instruments. At the end of August, Grzybowski Square will become multicultural stage presenting outstanding and innovative projects. Currently available are the tickets for concerts by: KROKE & Anna Maria JOPEK, Frank LONDON & Friends, Trio KOMEDA AHEAD, ASEMAN BAND Hadar Noiberg, Orkiestra NAXOS Milo Kurtis, Anna RIVEIRO, Zbigniew CHOJNACKI, Sławomir ZYGMUNT, Daniel KAHN & THE NAZAROFF BROTHERS and the others. For the 14th time, E. R. and I. Kamińskie Jewish Theatre – Yiddish Culture Center is partnering Singer’s Warsaw Festival. Once again, a true feast has been prepared for theatre lovers. The fans of Jewish classics will certainly enjoy “Kasrylewka Town” based on the short stories written by Sholem Aleichem. It was directed by Shmuel Atzmon-Wircer – the founder and the honorary director of The Yiddishpiel Theatre in Israel, who will also play the part of Tevye The Dairyman, a popular character who gained global recognition with the musical “Fiddler on the Roof.” The play is performed in Yiddish with Polish subtitles. But this is not all as the audience will have an opportunity to come across another text written by Sholem Aleichem, though, this time arranged in a completely different way: “The Big Lottery” directed by Tomasz Szczepaniak. It will be a contemporary, funny and a little bit wild music comedy on how winning a lottery can open Pandora’s box full of calamities, difficulties and tribulations and that lucky draw does not solve all troubles. For those who have a desire for contemporary repertoire, the Jewish Theatre has prepared “The Convertible Girl” based on the play under the same title written by the American playwright, Daniel Simon, about whom his student, Woody Allen, once said: “Everything I know about comedy I learned from Daniel.” The play was translated by Janusz Tencer and directed by Marcin Sławiński, who has been entertaining Warsaw audiences of Kwadrat, Komedia and Capitol Theatres. “The Convertible Girl” is a charming and funny romantic comedy with happy end about a girl who needs to convert to Judaism before she can get married to a religious Jew and a bumpy road that leads to achieving that goal. Music fans should book time for “George & Ira Gershwin” directed by Jan Szurmiej. It is not just a music monograph featuring works written by the outstanding duet, in which the younger brother was the genius composer and the older wrote the brilliant lyrics. First and foremost, it is a fascinating story, narrated through songs, about a woman and a man who seem to be unable to find each other in the jungle of the big city. A completely different kind of experience, a journey to the world of Bruno Schulz, an observation on the verge of consciousness and dream will be offered by the performance “Sanatorium Under the Sign of the Hourglass” directed by Agata Duda-Gracz. In his review, Marcin Kube from Rzeczpospolita wrote: “Weaknesses? One, but serious. This performance was staged just once and it does not look like it is going to be played again. However, if it turns out that it is staged again, do not miss the opportunity.” And we encourage Festivalgoers to seize this chance! We have the pleasure to present you program of the 14th Singer’s Warsaw Festiwal. Styles, trends and fashion are all but natural to come back. We keenly observe the past seething into our future, into the urban space. The Singer’s Warsaw Jewish Culture Festival, respecting the history of Warsaw and her inhabitants, revives the memory of the city for those who feel the bond with the cultural heritage, the multi-cultural spirit and the openness of the capital. Like every year artist from all around the world will present their novel, eclectic and creative performances, inspired by the common Polish and Jewish tradition. What’s up for us this year? We already know the stars of this year’s festival. Artists of both Polish and international format are expected. This year’s edition of the Festival will traditionally be inaugurated by the concert the the Nożyk Synagogue, where we shall hear the most prominent representatives of the klezmer and cantoral music. The musicians are performing „Ahava Raba” project – an emotional interpretation of prayer and blessing recited by the Jews during Shakharit – the morning religious rite. The show will host world renown artists: Frank London, Yaakov Lemmer, Patrick Farrell, Merlin Shepherd, Guy Shalom, Benjy Fox-Rosen. One of the very unique festival events is the Warsaw premiere of a new album by one of the most popular klezmer bands of Poland and Europe – KROKE „TRAVELLER”. It is already the eleventh album in the portfolio of this Cracow-based trio, shining bright on the international music scene for a quarter of a decade. KROKE will perform upon our stage accompanied by Anna Maria Jopek, a prominent vocalist giving concerts with the most important music characters of our time. It is an encounter of the two worlds of sensitivity and a unique fusion of author’s music, calling upon influences of numerous cultures and traditional sounds via the use of modern means. The very special guest star of the Festival is Daniel Kahn, the “one man band”, hailing from the USA and now Berlin-based actor, director, scriptwriter and poet. On our stage, he will present two of his music projects. The Painted Bird joins the accordion and the clarinet with punk rock and the trombone with the electric guitar. This novel arrangement will be presented to us in, i.a., songs by Mordekhay Gebirtig or David Edelstadt with an unrestricted, New York freedom and cabaret form. In the other project, he performs with the international super-group The Brothers Nazaroff, performing in the Yiddish-folkpunk „simcha madness” style. We will also hear Renata Przemyk, performing pieces from the newest album – from the „Boogie Street” show after Leonard Cohen’s “Book of longing”. A very special complement to the concert are the additional songs from Cohen’s repertoire, such as „Suzanne” or „Hallelujah”. The programme of the Festival also features once again the section of Singer Jazz Festiwal – within which prominent personalities of the jazz scene are performing. We will have the opportunity to listen to the greatest star of the jazz part of the Festival, Rolf Kühn. This world-renown jazz musician, hailing from Germany, is a phenomenon: performer and clarinet player, excelling in numerous areas of music. Rolf Kühn will perform in a new project „Clarinet Summit” – initiated by Adam Baruch, artistic director of Singer Jazz Festival. Next to Rorf Kühn on the stage will appear young jazz musicians, amongst them Ircha Clarinet Quartet – a quartet by Mikołaj Trzaska, consisting of excellent musicians playing various types of the clarinet. The project will also see the participation of the Oleś Brothers, acclaimed as the greatest treasure of Polish 21st-century jazz. The main star of the final festival concert is David D’Or, a world-renown Israeli countertenor and composer. We have already hosted David in Poland during the 11th edition of the Festival, where he was so well received by the Polish audience. This year, this angel-voiced, unmistakably unique artist comes back to Warsaw with a new project. 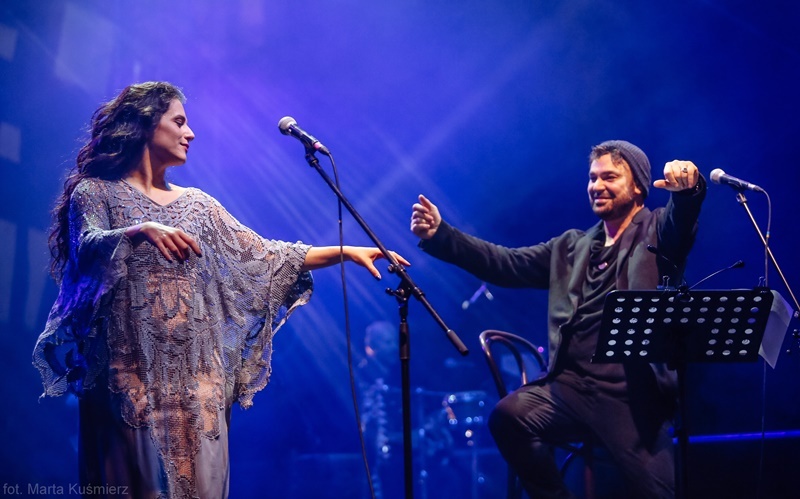 It is the first time that he performs on the very same stage in a unique conjunction with a great star of the Israeli musical scene, Miri Mesika. This phenomenal artist, so popular in Israel, is now enjoying her first visit to Poland. A great asset of the Festival are also the theatre performances. There will be ample occasions to see the popular and acclaimed shows by the Jewish Theatre, such as „Shosha”, „The Sabbath girl” or „Karsylewka Town”. Ahead of us lie also the opportunities to see the cult shows, which are making a special, Festival-oriented comeback to the stages. In cooperation with TR Warszawa, the ATM Studio stage shows us two prominent plays by Maja Kleczewska and Łukasz Chotkowski. The acclaimed „Dybuk” is based on the renown Jewish drama by Shimun Ansky – the story of the soul of a deceased yeshiva student inhabiting the body of his loved one, which, when interpreted by Kleczewska and Chotkowski, also shows its new meanings, so important for the contemporary viewer. There is also one more special artistic event in line – the play of „Malowany Ptak” based upon the famous, controversial novel by Jerzy Kosiński, premiered not so long ago in Warsaw. It is a story of a small Jewish boy during World War Two, seeking refuge in the Polish countryside. The play was co-produced in cooperation with Teatr Polski in Poznań. During the Festival, plays will also be presented by Yiddishpiel Theatre of Israel and the Jewish Theatre of Bucharest. Moreover, Jewish-themed performances will be shown by Polish theatres. Singer’s Warsaw Festival is held in August-September at the Grzybowski Square and Próżna Street. This time, part of the events are held at the temporary location of the Jewish Theatre at 35 Senatorska Street in Warsaw. Some of the shows will be histed by the Kwadrat Theatre. The events will also be held at the Warsaw Garrison HQ Club as well as on the stage of the ATM Studio. The Festical presents various manifestations of the vividly live, Polish-Jewish tradition. The stages will host prominent artists drawing from the wealth of the Polish Jews’ cultural heritage. The excellent programme, the prominent artists and the multitude of attractions attract 60 thousand spectators of the Festival every year. Singer’s Warsaw Festival is an initiative by the Shalom Foundation, the aim of which is to restore, if but for a few days, the atmosphere of the pre-war city of Warsaw. 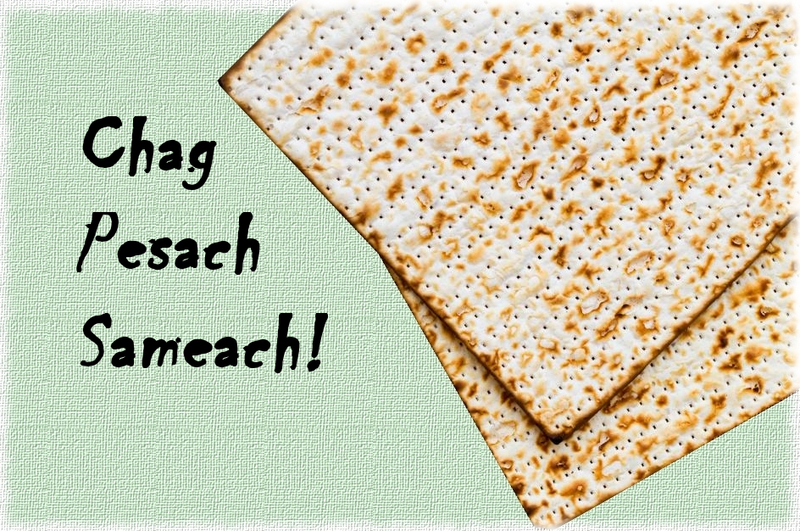 We intend to show the Yiddish culture, its excellent literature and heritage. Books, music, theatre, cuisine, conversations with creators and artists – all those cannot be missed at our Festival. We present aor spectators with writers, musicians, artist of various genres and generations, and their innovative projects. We also give the chance to learn of the Jewish history and custom. We talk to experts, historians, scientists, allowing for discussions and exchange of views, attempting to be the event, due to which the dialogue of history with the present is not only possible but also effective. Come and visit our Festival in late summer! We present the new “musician” of 14th Singer’s Warsaw Festival! Visual identification for the festiwal is created by Lech Majewski. For the fourteenth time, the Shalom Foundation has the pleasure to invite everyone to celebrate music, theatre, literature and art, in other words: the Jewish Culture Festival – Singer’s Warsaw! This year, the Festival will take place on 26 August – 3 September 2017. We will offer you a full range of events so that everyone can find something interesting. We welcome theatre and music lovers, researchers of the Jewish history and culture, fans of photography and art, those of you who enjoy thematic walks and workshops. People who like to, from time to time, feel an air of nostalgia with a tiny hint of old days and those, who seek new experience, and follow the latest trends in art and culture. We also encourage artists to send us interesting proposals. The Festival’s stages await!